1 Eanáir - Tháinig an Bhulgáir agus an Rómáin isteach san Aontas Eorpach mar thíortha aontachais. 1 Eanáir - Ghlac an tSlóivéin an tEoró mar airgeadra oifigiúil, in áit an tolar. 1 Eanáir - Rinneadh Ard-Rúnaí na Náisiún Aontaithe de Ban Ki-moon ón Chóiré Theas, ag teacht i gcomharba ar Kofi Annan. 1 Eanáir - Chuaigh Angóla san eagraíocht OPEC. 3 Eanáir - Adhlacadh iar-uachtarán SAM Gerald Ford i Grand Rapids, Michigan. 4 Eanáir - Glacadh le mionn oifige 110ú Comhdháil na Stát Aontaithe. Toghadh Nancy Pelosi mar cheann comhairle, le vóta 233-202. 24 Bealtaine - Olltoghchán in Éirinn chun an 30ú Dáil a toghadh. 22 Iúil - An bua ag an AK Parti in olltoghchán sa Tuirc. 20 Deireadh Fómhair - Bua ag an Afraic Theas ar Shasana sa chluiche ceannais i gCorn Rugbaí an Domhain. 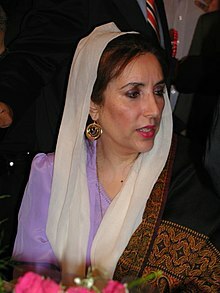 27 Nollaig – Feallmharaíodh Benazir Bhutto, polateoir Pacastánach agus ise ag déanamh feachtais i dtoghchán na huachtaránachta sa tír sin. Tugadh an leathanach seo cothrom le dáta an 5 Eanáir 2019 ag 22:02.